Karina's Kreations: Grand Vacation Hawaii Blog Hop! Grand Vacation Hawaii Blog Hop! Welcome to the Grand Vacation Hawaii Achievers Blog Hop. You may have just arrived from Linda Higgins blog. This blog hop is to celebrate the Pillow Gifts we received during our grand vacation in Waikii Hawaii. Every night they put a pillow gifts on our beds and the challenge was to create a card or 3-D item with one of the gifts. I'm using the new Project Life This is the Life Card Collection, This is the Life Accessory Pack and matching This is the Life stamp set. I created a beautiful family wall hanging from our trip to Banff, Alberta this past spring. 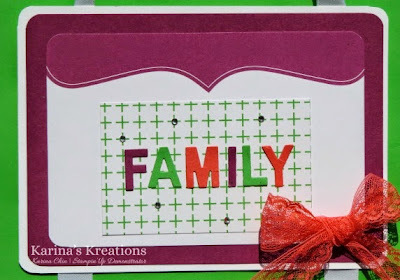 The next stop on the blog hop is Jacque Williams! Here's the supply list for this project! The Project Life items will be available June 2! Fabulous wall hanging! It was so much fun hanging out at the pool with you! Great way to use the PL cards! Thanks Shanni! It was an amazing trip! I love the fact that you can hang this up and it's not just a traditional frame! What a clever idea! 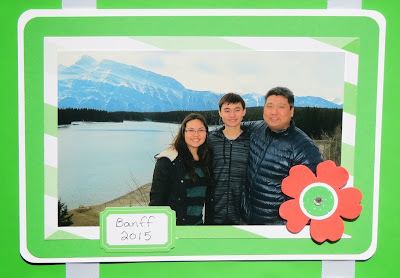 What a wonderful keepsake of your family vacation! Thanks Alison and I have my Father's Day gift done too! Yeah!! 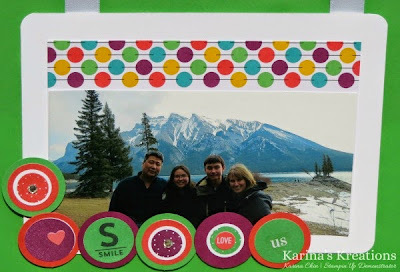 Super cute use of the Project Life cards! Thanks for sharing! 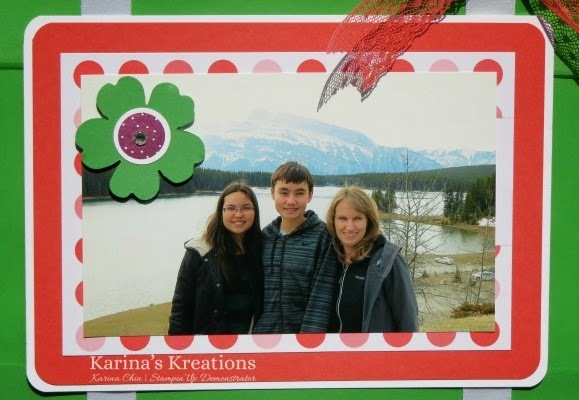 What a lovely way to capture your memories of such a wonderful trip :) Your family is just adorable Karina! Love this fun idea Perfect for our Project Life cards! Thanks Janet and it's so easy!!! Love this project Karina. You just might inspire me to break out my Project Life and try my hand at it too! The wall hanging is an excellent alternative for those of us on-(gasp) scrapbookers! What a clever way to use the cards! I love this! Very creative use of the PL cards with some lovely decorations.